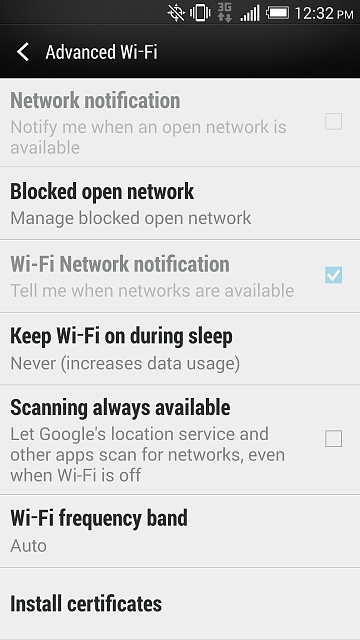 My Wi-Fi always turns itself on when the phone is 'asleep'. Here is a screenshot of my Wi-Fi settings. I can't figure out how to not make it turn on like that. I've had the same issue. quite annoying. Seems it happens everytime I plug it in to charge. The wi-Fi turns itself on. Tmobile D801 LG G2 on at&t 3g microcell?!? What Phone to buy for LTE that works on Straight Talk? What Phone to buy for LTE devices that work on Straight Talk.